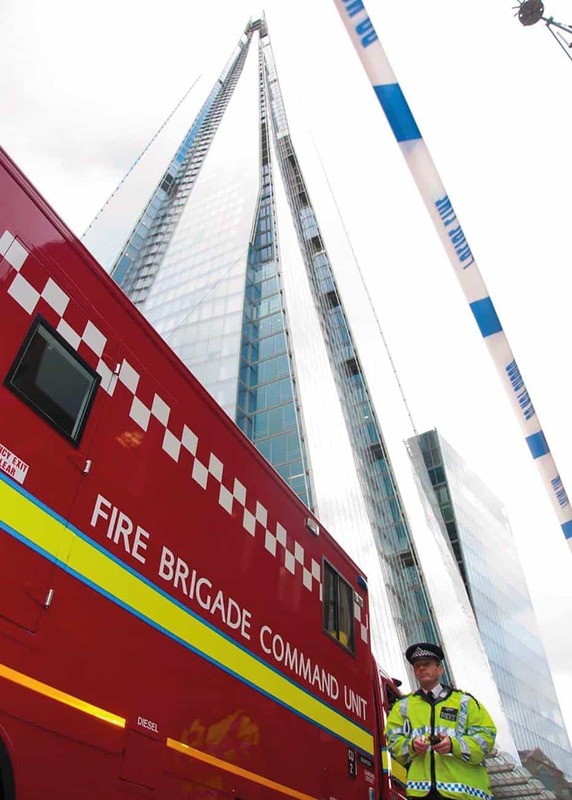 Key aspects of London Fire Brigade’s (LFB) approach to firefighting in high rise buildings and, in particular, focusses on a range of improvements that have been made to the tactics and equipment that can be deployed at these incidents. This programme of change – which started in 2011 and is still on-going at the time of writing (May 2016) – was initiated in response to the fact high rise fires can be among the most challenging incidents firefighters face. The United Kingdom has suffered a number of fires in high rise buildings which have led to the deaths of firefighters and members of the public. This is not because high rise buildings are inherently more dangerous than other types of building. Rather, it is because in a fire situation, the height and design of a high rise building can present a wide and, in some cases, unique range of hazards which have the potential to create a dynamic and high-risk working environment. Even the definition of a high rise building can present a challenge! It is not simply about height, even though a fairly common standard is to describe buildings of 6 floors or more and over 18m in height as “high rise”; more sophisticated definitions include any building that has floors that cannot be reached by external firefighting equipment and where only internal rescue is possible. By this criteria, London has many thousands of high rise buildings, ranging from conventional tower blocks containing residential flats to very large and complex commercial buildings, such as Europe’s tallest building The Shard. The trend is for buildings to be of ‘mixed use’ (i.e., both commercial and residential use) and for these buildings to contain complex systems to control the internal environment during normal use or in a fire situation. In all cases, basic facilities such as firefighting shafts, rising mains and firefighting lifts will be found. However, more modern buildings will also often provide a range of fire engineered solutions, such as water suppression systems and fire curtains. Fire in Lakanal House (July 2009) in which six people died. The programme of change started with risk assessment and LFB led on the review of the national Generic Risk Assessment (GRA) for fighting fires in high rise buildings (the revised GRA was published in February 2014 and can be accessed via https://www.gov.uk/government/publications/generic-risk-assessment-32-fighting-fires-in-high-rise-buildings). 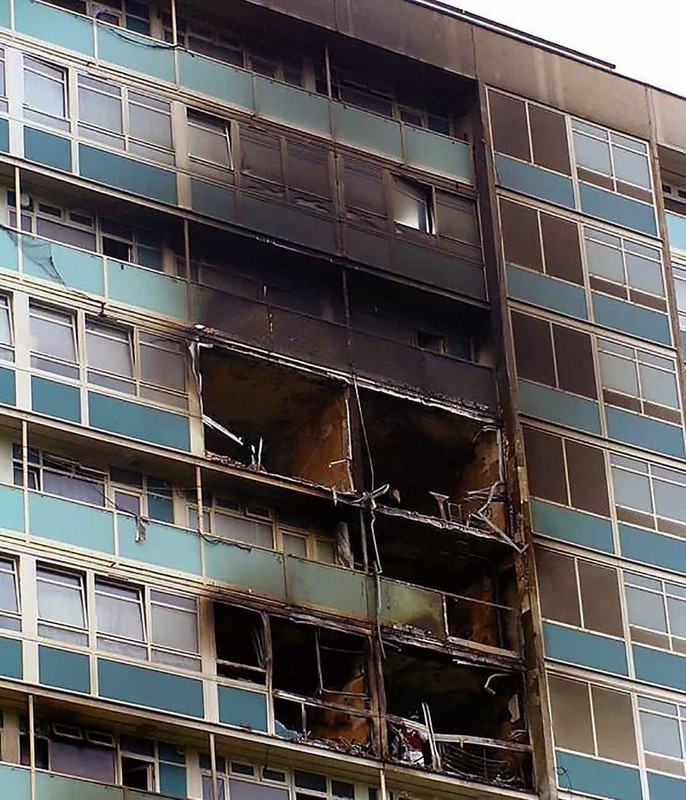 The review involved fire services from across the United Kingdom and incorporated experiences that had been gained at a large number of high rise fires, including tragic incidents where there had been a loss of life, such as Harrow Court , Lakanal House  and Shirley Towers . The review identified a number of new hazards – such as the potential for high rise fires to spread downwards and laterally as well as upwards, cable entanglement, wall panel failure and the possibility that firefighting facilities in the building may not be available – and thereby provided a significantly more complete description of the wide range of logistical and physical challenges that firefighters can encounter during high rise fires. A total of 35 hazards were identified (15 more than were included in the 2008 version of the GRA) and these were reflected in revised key control measures for fires in high rise buildings. These included a renewed emphasis on the importance of planning in advance of an incident, the importance of training to practise standard operating procedures and test site-specific plans and the need for effective command and control during what can often be fast moving and emotionally charged incidents. that, provided the building’s construction and any fire engineered solutions have not been compromised, it is also permissible to commit firefighters above the bridgehead without respiratory protective equipment, in order to carry out tasks such as reassuring occupants who have not been directly affected by the fire or smoke. To maintain the level of risk at a tolerable level, the GRA recommended the early deployment of safety officers – both inside and outside the building – to help maintain the Incident Commander’s (IC) situational awareness and to ensure that any worsening conditions are identified without delay. Reference was also made to the key importance of ventilation, following the building’s evacuation strategy and having effective arrangements in place to handle ‘fire survival calls’ as other key components to maintaining the safety of both occupants and firefighters. A major training exercise held at The Shard (95 floors and 309 metres high) before it opened to the public in February 2013. One of the most significant advances arising from the review was the inclusion of a concept of ‘operational discretion’ for the first time in national guidance. This set out the need for fire service operational policy to be as flexible as possible, and to empower ICs to deviate from standard procedures at incidents where this can be justified in terms of risk vs benefit. Based on ‘lessons learned’ from the 7/7 London bombings and other incidents, operational discretion acknowledges that, on rare occasions, scenarios can arise that go beyond what is covered in standard operating procedures. Where this occurs a deviation from procedure may be justified to secure an important objective as long as appropriate control measures are put in place to manage the safety of firefighters. The use of this concept at high rise fires is most likely to be when a more rapid response is required and typically this will be to rescue a ‘saveable life’ or to tackle a known small fire through a pre-emptive strike. In these circumstances, implementing the full high rise procedure could lead to an unjustifiable delay, causing greater injury or loss of life or resulting in a fully developed fire that would create greater risk for building occupants and firefighters. Having undertaken its own risk assessment and updated LFB’s operational procedures based on the GRA, training exercises were used to confirm that the proposed changes were effective and practicable. LFB’s training specification was also amended to ensure that all training courses and materials were consistent with the new ways of working that would be introduced by the revised operational procedure. The focus for improvement then shifted to a review of the resources that are initially mobilised (despatched) in response a call to fire in a high rise building. 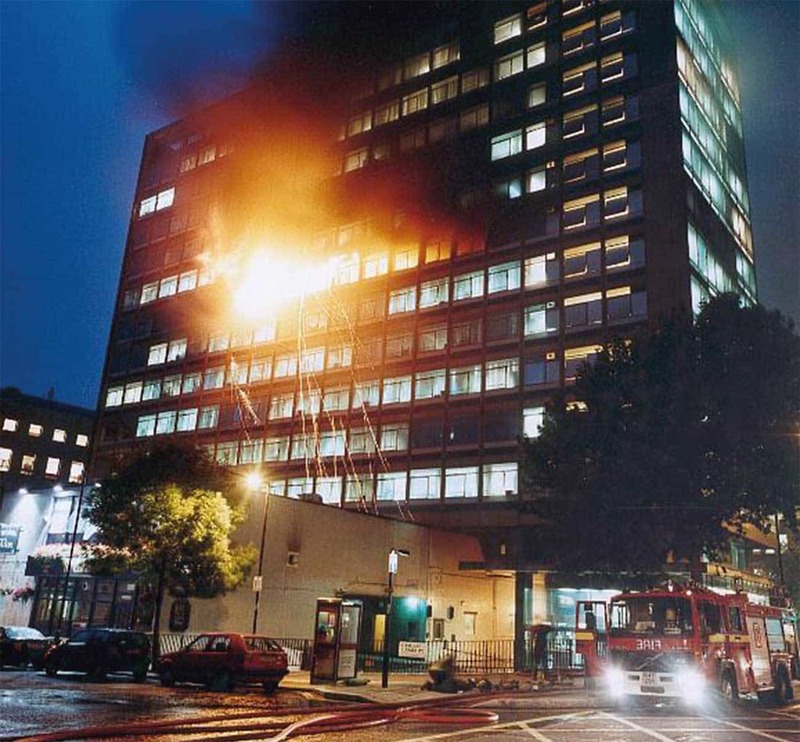 LFB’s pre-determined attendance (PDA) to a high rise fire had been 3 pumping appliances and an aerial appliance and this had reliably provided sufficient resources as an initial response to these incidents. However, taking into account the impact of newly identified hazards, it was recognised that there is potential to attend an incident when, for example, facilities such rising mains would not be available and more than the 14 firefighters delivered by the above PDA could be required in the first stages of an incident. To address this issue, the PDA was increased to 4 pumping appliances; this delivers a minimum of 18 firefighters to any call to a fire in a high rise building, which is assessed as sufficient to deliver a safe and effective initial response in all reasonably foreseeable scenarios. The new breathing apparatus covers with straps and cable cutters and pouch, with have been fitted as ancillary equipment to all BA sets. The combination of identifying new hazards and amending operational procedures also highlighted the need for changes to operational equipment. LFB procured two new branches, both of which operate at 3-3.5 bar operating pressure in order to ensure that they would maintain effective flow rates, even on the upper floors of tall buildings and one of which can deliver a solid core jet in combination with water spray. This allows firefighters to tackle a fire from a distance, removing the need for firefighters to be in close proximity to the fire when this is not necessary for rescue or any other incident objective. To mitigate the risk of firefighters becoming entangled in fallen electric and telecommunication cables (which are often routed in surface trunking in tall buildings), all LFB breathing apparatus sets have been fitted with a modified cylinder cover and provided with a set of high quality insulated cable cutters. 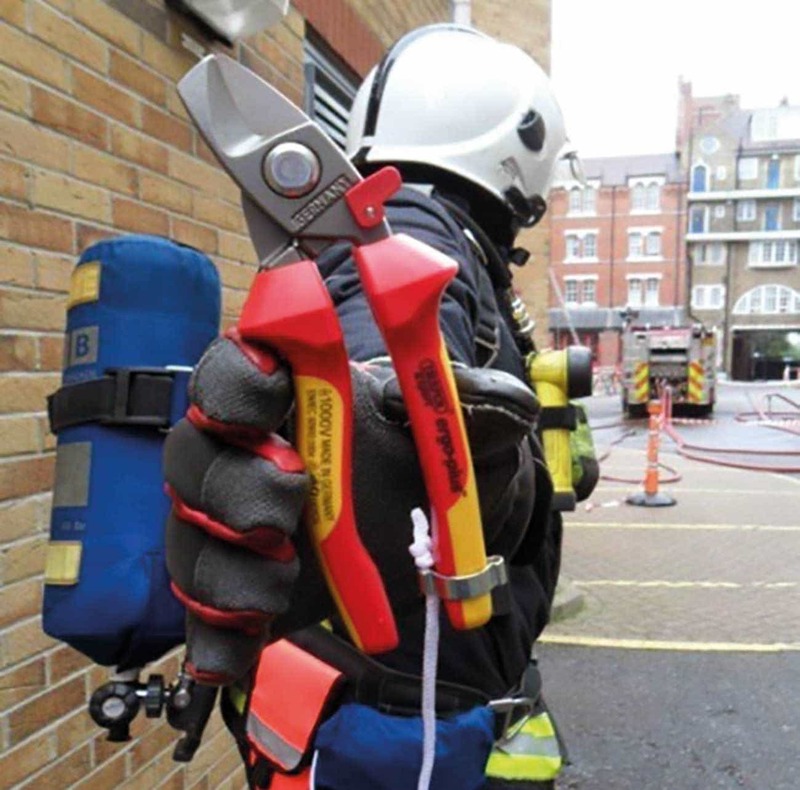 The cylinder covers mitigate the risk that cables can become lodged between the cylinder and breathing apparatus back plate and, if a member of a BA team does become trapped, the cable cutters provide a safe means of cutting them free. Another innovation, based on experience from fighting fires in high rise buildings, has been the development of a Forward Information Board (or FIB for short). This is a Perspex backboard and laminated templates and provides a simple, but highly effective means of recording information such as search plans at the Bridgehead. The FIB avoids the need to make ‘ad hoc’ records that have been made at previous incidents by writing on lobby and staircase walls and means, if there is a need to re-locate the Bridgehead or the information is required for investigative purposes, key information remains available. Premises Information Plates (PIPs) offer firefighters another source of information and were trialled as physical plates attached to 160 high rise buildings during 2014. PIPs provide, in an easy to read and graphical format, access to key information such as a buildings height and number of floors; the availability and location of water supplies and any fixed installations; and the number of hose lengths that are needed to charge and work from the rising main. Following a successful trial, the decision was made to implement this system electronically as ‘ePIPs’, which means this information is now provided to all fire appliances via their Mobile Data Terminal. By taking this approach, it is easier to ensure that the information is readily available to all personnel responding to an incident and to keep building records up to date. Finally, a project is close to completion which will improve the way in which risk critical operational equipment is transported from fire appliances up to the Bridgehead. The Fire Initial Response Equipment (or FIRE system, for short) comprises of a backpack, hose straps and results in an even distribution of equipment between four firefighters. The system has been extensively trialled and has introduced several new items of equipment for use predominantly at high rise fires, such door openers, marking crayons and search tags to mark rooms or flats that have been searched. The search tags, which are bright red and printed on acrylic, have been designed to work with a wide variety of different types of door and door handle and they won the ‘Best Industrial Product Design’ award in the prestigious 2015 UK Design Week Awards. three floors. Telstar House, Central London. In the past 4 years, LFB has undertaken a programme of improvements in order to ensure that we can continue to respond effectively and as safely as possible to fires in high rise buildings. And, in practise, a combination of on-going risk assessment, sound operational procedures, officers over time, to deliver safe and effective systems of work, who are empowered to make the right decisions to save lives and reduce harm and advances in new technology, also means that we can be confident that LFB will continue to deliver a world class public service in response to any fire in a tall building. Peter Cowup, 56, joined London Fire Brigade (LFB) in 1982 and very recently retired as an Assistant Commissioner, when he had responsibility for the development and maintenance of operational policy.